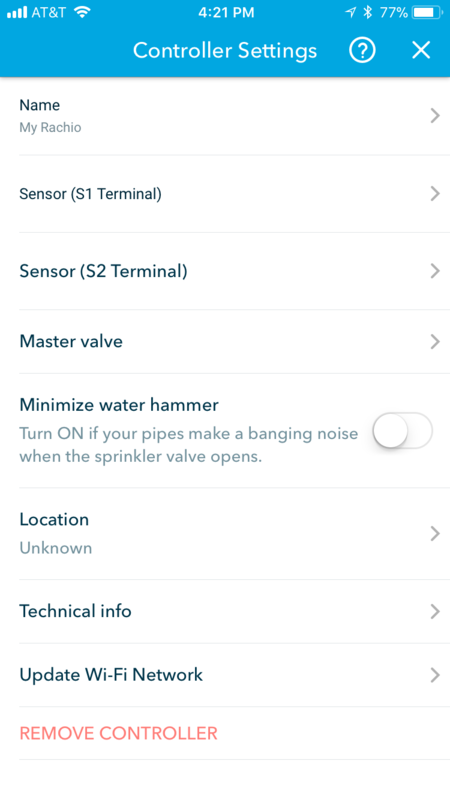 How do I delete a controller from my Rachio account? 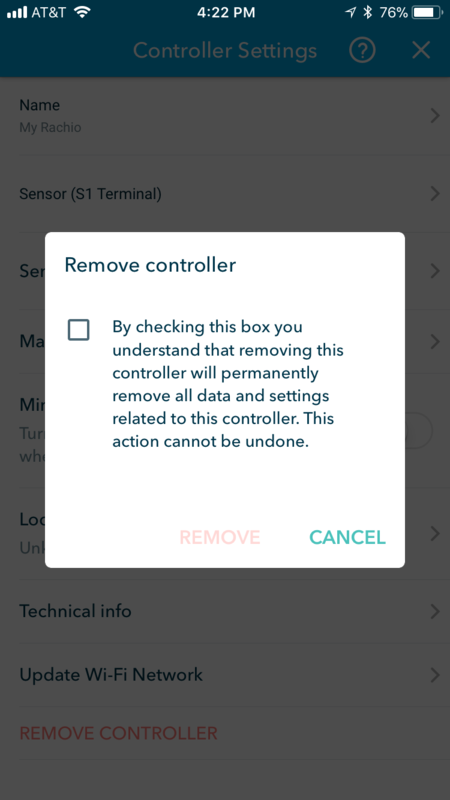 If you already have one or more controller(s) associated with your Rachio account and you need to delete a controller manually, you can do so through the "More" tab. Simply ensure the controller that you want to delete shows at the very top, then select Controller Settings > Remove Controller > check the box > press Remove (see images below). You will be presented with a warning message to make sure that you really want to delete your controller. What you delete cannot be undone, so make be sure that you are certain before you delete a controller. To confirm controller has been deleted, be sure to log out of your account then log back in.